Improve a winning boat by keeping the good attributes of the Cinco while offering a better feeling of speed and direction. A new design that stays closer to the optimum trim for longer and reduces the pitch and heading amplitude. The new shape was also thought to contribute for the rigidity of the boats. Improved stiffness with Unidirectional Carbon placed as a structural reinforcement net. 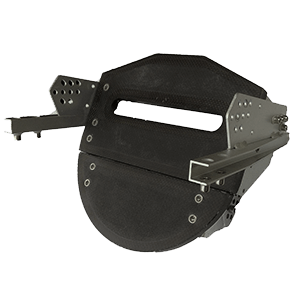 100% carbon reinforced rim adds rigidity on a structural part of the boat. 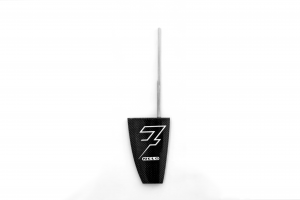 Similar top speed, when compared with the Cinco, but with an improved speed loss curve, resulting in a more efficient boat that sustains the top speed for longer. Less heading movement and better stability allows for more powerful strokes and smoother glide. With the Sete we cover a wider athletes range weight, from 55kg to over 100kg. K1 and K2 Sete are now available in S, M, ML, L, XXL and XXXL sizes. The K4 will be available in 3 sizes: M, ML and L.
New steering system. New rudder blade 100% carbon and a new shape. New T-Bar with easy length adjustment. New cable ties. All combined for a more efficient and smoother steering solution. Make sure you are using your K1 7 at full potential with our Ideal trim guide. Available fittings for K1 7 s may vary according to construction type. Epoxy carbon low back seat made with aluminium structure and a traditional design. *This model fits all sprint and marathon range, but also Nelo Viper, Razor and FW2000. *Screws and rails are not included. Angle and depth adjustment. More strap options. 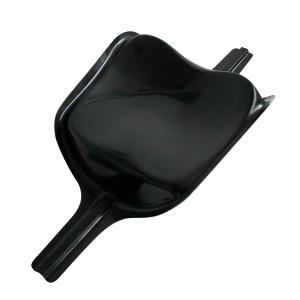 Made of plastic (100% nylon) for impact resistance. 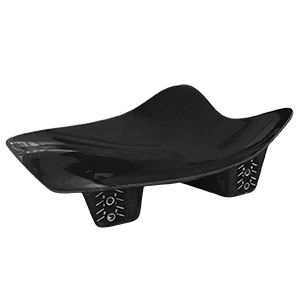 Designed to avoid damage in the boat and not to catch grass. 6 mm diameter shaft. 100% in stainless steel. Angle and depth adjustment. More strap options. 100% Epoxy carbon high back seat. The best for athletes that look for a better grip on the back of the seat. This model fits all competition, sprint and marathon, but also Nelo Viper, Razor and FW2000. *Screws and rails are not include. 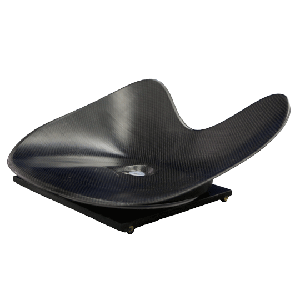 100% Epoxy Carbon High back rotating seat. Patented by MAX Kayaks in Australia. An essential tool for training. 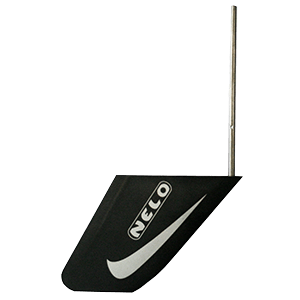 This model fits all Nelo K1/K2/K4 Nelo Vanquish, Scorpion and Moskito Series, and also Nelo Viper, Razor and FW2000 equipped originally with a platform. *Rails are not included. 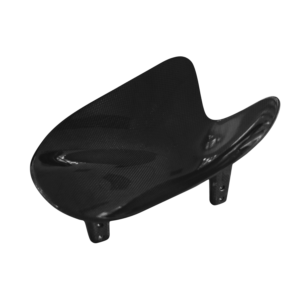 Shell Shaped Seat, made with 100% Epoxy Carbon. For athletes that look for a better grip and extra confort. This model fits all sprint and marathon range, but also Nelo Viper, Razor and FW2000. Screws and rails are not included. 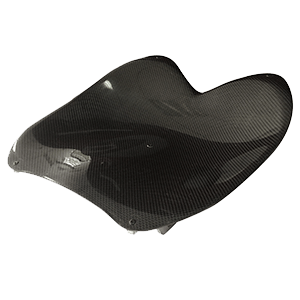 100% Epoxy carbon flat seat. Flat and long classic design. 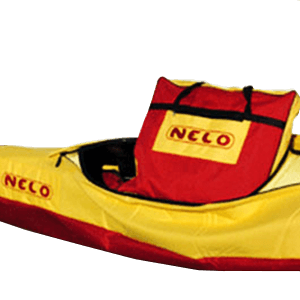 *This model fits all sprint and marathon range, but also Nelo Viper; Razor and FW2000. *Screws and rails are not included. 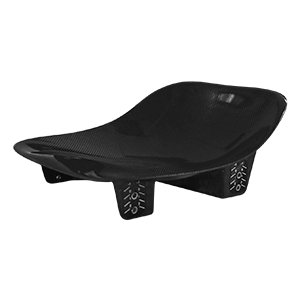 Ideal for Marathon, this foot rest allows for more power to be applied, while providing more travel for more precision while steering. 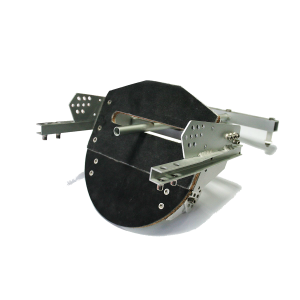 Includes cables, quick adjustment system, 2 pairs of cable guides and a crosspiece. Made in carbon and aluminium. Fits all competition flatwater K1 boats. Manufactured,100% in Epoxy fiber glass, it is the best for the WWR boats. *The traditional fitting system includes two screws. *This model fits all the sprint and marathon range. 3 (F) Carbon Foam Epoxy Vacuum Heat Cured This construction has proved it’s potential before and has become one of the most popular. It’s extremely resistant and stiff, so it’s excellent both for sprint training and competition. 4 (WWR) Carbon/Kevlar Epoxy Vacuum This construction is thought for river descent, marathon training and sea kayaking. 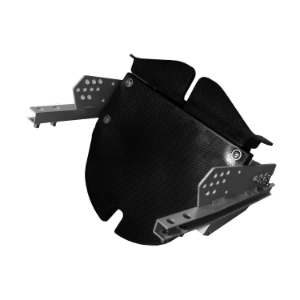 Its main characteristics are stiffness and impact resistance. 5 (G) Extra Carbon Foam Epoxy Vacuum Heat Cure High quality construction, prepared for high performance. 6 (E) Carbon/Kevlar Vacuum Heat Cured This construction is specific for marathon racing, and its main characteristics are lightness and stiffness. The balance between weight and stiffness gives this construction an outstanding performance in marathon racing. 7 (SCS) Solid Composite System This system was conceived by MAR Kayaks. It allows us to produce boats as solid as composites can be using the latest technologies. It has an extreme performance level due to its extreme stiffness.